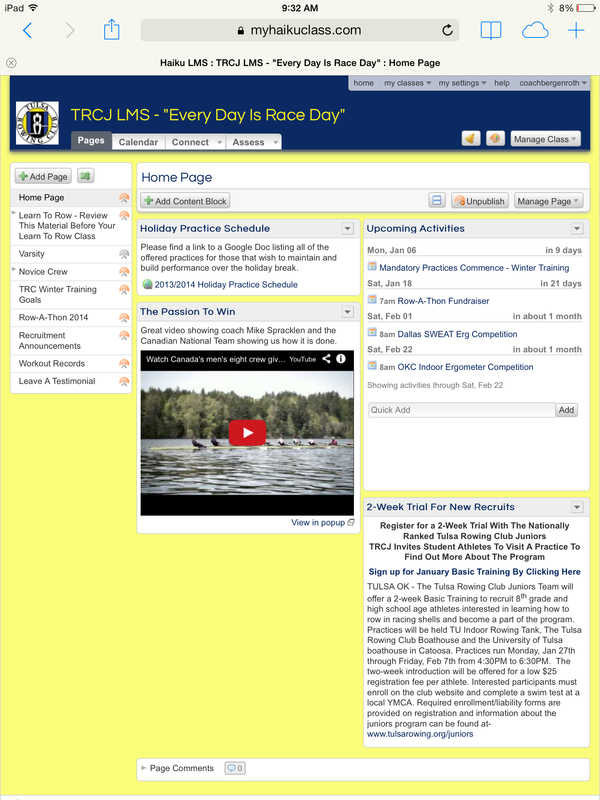 This past fall we have been working to develop a learning management system for our novice athletes. 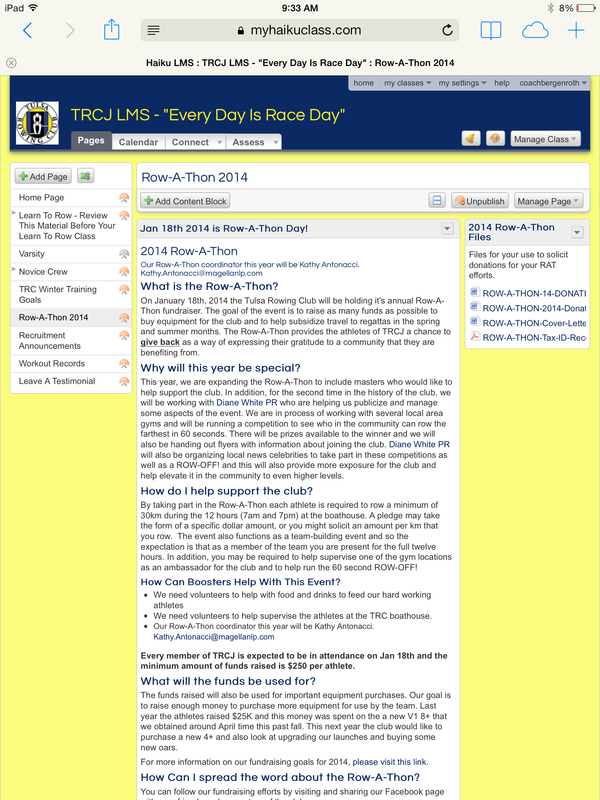 The first year of rowing is vital to the long term success of the athlete because so many fundamentals are taught. In addition, coxswains are also trained in the vital skills they need to keep the athletes and the boat safe, while getting the most from their crew. 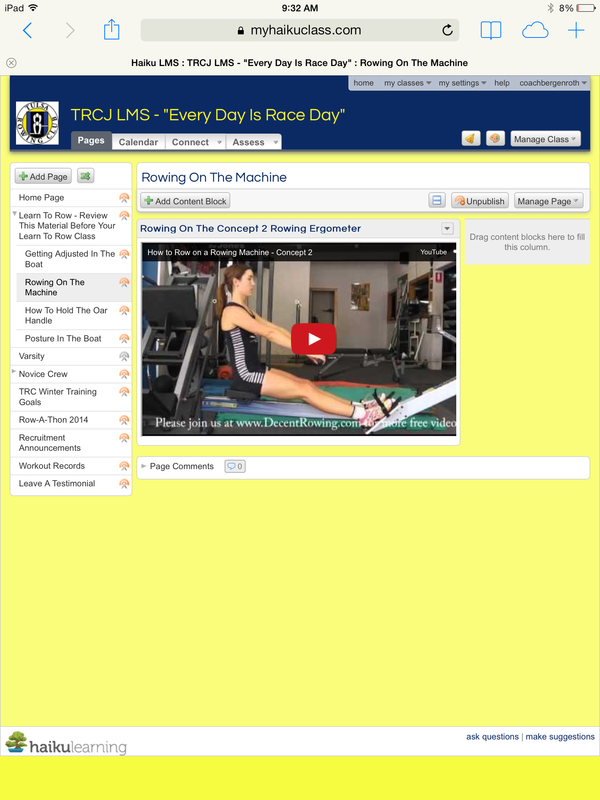 Our learning management system provides access for our athletes to view instructional videos before and after practice to help them develop their skill set. Participants that are new to the program also have the opportunity to watch instructional videos before they get in the boat for the first time. Learning how to row is a challenging activity and there is much to process in the first week of being in a boat. By flipping some of the content (i.e. some instructional content is taken care of outside of practice time), we are able to teach new rowers at a more efficient rate and get more water time. The system also includes various posts that help the athlete to develop technically, physically and psychologically as they gain experience. The system also allows the parents of rowers to learn more about the sport and so a partnership between the coaches and athletes can be established more effectively. 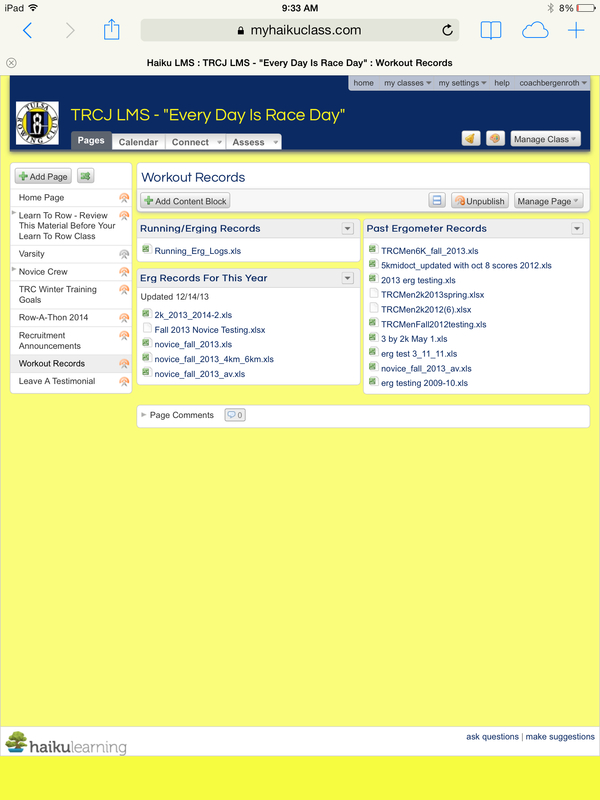 In addition to all of this, the system provides a place for workout records to be uploaded by coaches. The athletes then have the ability to track their process and gain confidence in their ability and they get fitter and faster. The system is relatively new to the program and therefore it will grow and develop as the team progresses. 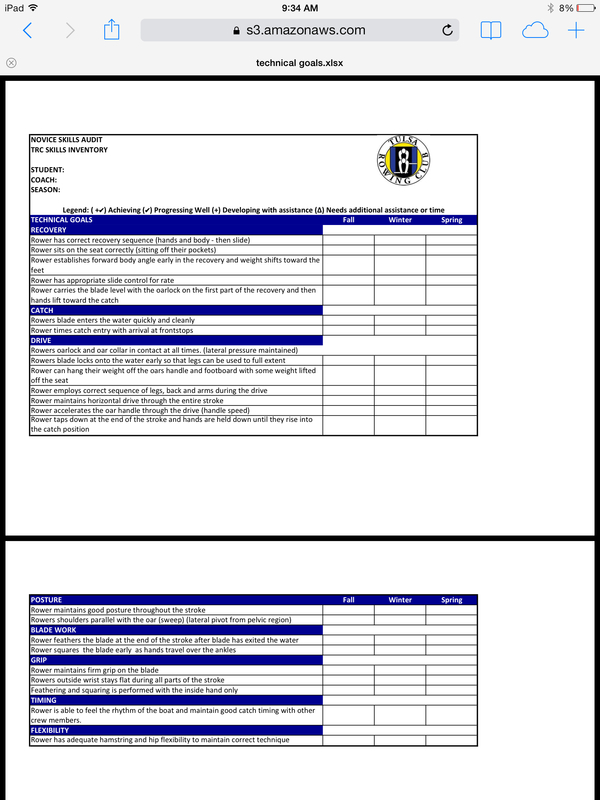 Athletes are encouraged to use this as a resource and take command of their own learning. This has been proven to be more effective in the long term and represents the prevailing educational philosophy being employed in schools today. The 5 minute video below explains some features of the system and there are some screen shots follow.